After the hectic planning and big-day buzz, newlyweds can kick off their glad rags and discover an oasis of beauty and calm along the stunning Lisbon coastline. Just over a two-and-a-halfhour flight away from London Heathrow, a little piece of post-wedding heaven awaits for those looking to relax and unwind. There's plenty to do and see for a romantic mini-moon, or stay longer to soak up all the area has to offer. I visited in mid-May, leaving wet and windy London behind for a welcome dose of sunshine and pampering at The Oitavos, a luxury retreat that feels a million miles away from the hurly-burly of everyday life. 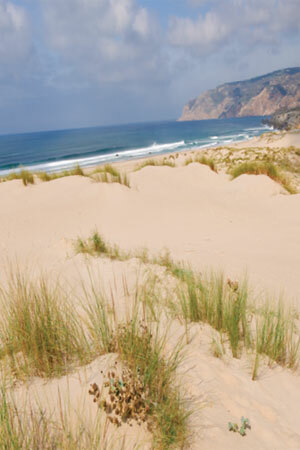 Located 20 minutes west of Lisbon, Portugal's capital city, the five-star hotel overlooks protected sand dunes and the rugged coastline of the Atlantic Ocean. Inspired by the panoramic surroundings, the building was designed by Portuguese architect and artist José Amaral Anahory to embrace, rather than compete with the natural environment. The sleek lines of the building blend with the setting to cause minimum disruption, almost as if it had dropped from the sky. Although, at first glimpse, my initial reaction was a little luke warm, the full glory of the place didn't sink in until I'd familiarised myself with it inside and out. The light and airy spaces, and elegantly simple interiors focus your attention outwards to the natural landscape. 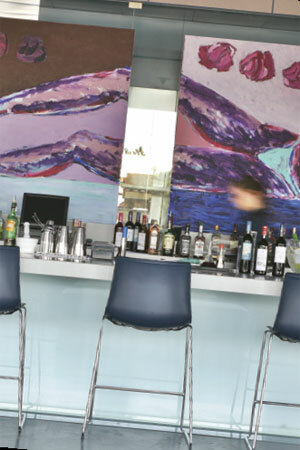 The quiet, calming atmosphere is enhanced by contemporary furnishings, and neutral tones, with modern sculpture and paintings by Portuguese artists as an added twist. The 142 guest rooms each have a balcony with views of the ocean or the Oitavos Dunes golf course, ranked among the best in the world, so you can sit and soak up the sun and scenery at your leisure. My spacious bedroom was chic and stylish with a deliciously comfy bed and all mod cons. Just a few hours into my stay and I was already starting to unwind, even before a dip in the pool and stress-busting visit to the spa. Built in the same modern style, with glass walls to take full advantage of the unspoiled views, the facilities include 10 treatment rooms, an indoor jet pool, sauna, Turkish bath and Jacuzzi, so there's plenty on offer for honeymoon bliss. After an indulgent full body massage, I left feeling fully revived, ready for a pre-dinner cocktail at the bar before sampling the delights of the hotel's Ipsylon Restaurant. Influenced by the Atlantic coast, the menu combines traditional Portuguese and French cuisine including blue lobster picked fresh from the tank, oysters, mussels and other delicious seafood. There's also a Japanese bar where sushi chefs will prepare dishes in front of you, a poolside restaurant and bar; ideal for light meals and snacks, as well as a first rate eatery at the golf course clubhouse. Whatever your choice, there's something to suit most tastes without having to wander far. You don't have to leave the comfort of the hotel for a memorable stay, however with so many outdoor and leisure pursuits on hand, as well as a wealth of cultural, historical and picturesque places to visit, it's well worth venturing out. 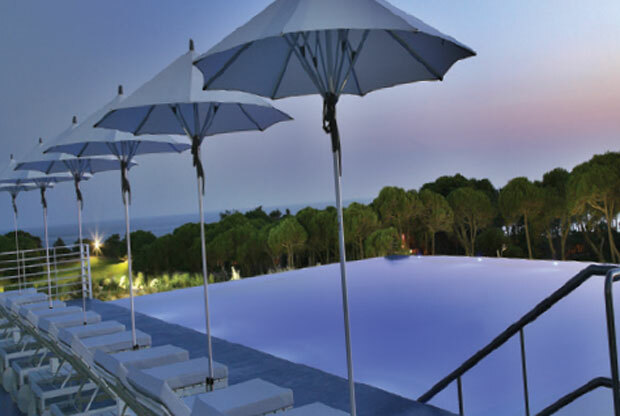 The Forte; the hotel's ultimate retreat for loved-up couples. Hidden within the dunes, the 120m2 suite offers a romantic escape complete with king-sized bed, living room, fully equipped kitchen, private outdoor seawater swimming pool, sun deck and even a personal butler to see to your every whim. 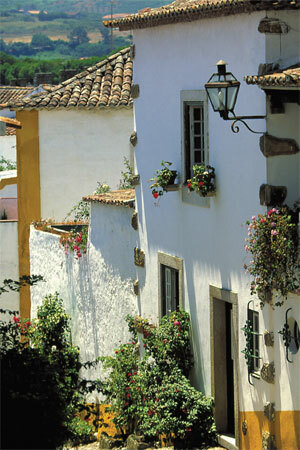 Formerly a sleepy fishing village, Cascais is only a 30-minute train ride from central Lisbon. Steeped in history, it's easily reached from The Oitavos by bike or on foot along the shoreline promenade. A popular summer haunt for locals and visitors, it boasts a wealth of stately homes and museums. The cobbled streets are dotted with squares, cafés, restaurants and shops, while the sandy beach in the centre is a magnet for sun worshippers. As well as the traditional appeal of the old town, there's a new marina and trendy bars that come alive after dark to create a bustling nightlife. The Sintra mountain range rises from the Atlantic shoreline and perched at one of its highest points is the town of Sintra. A UNESCO World Heritage Site, it's a colourful mix of elaborate architecture, with Roman, Arabic, European and Portuguese design influences. The Medieval National Palace dominates the historic centre and its gleaming white towers are a major landmark on the skyline. With mansions, landscaped gardens, an ancient Moorish castle, museums, breathtaking views and more, it's well worth a day trip. 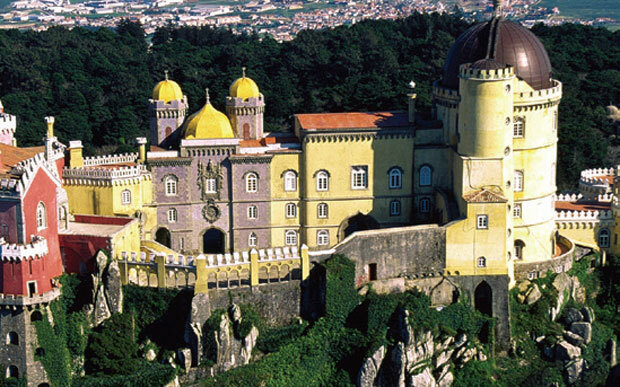 Enjoy a tour by horse-drawn carriage for a traditional experience or hop on the Sintra tourist bus. Explore on foot or if the steep terrain's a little daunting, why not breeze across the Sintra hills by electric bicycle? They're available to hire for guided tours or you can go it alone. 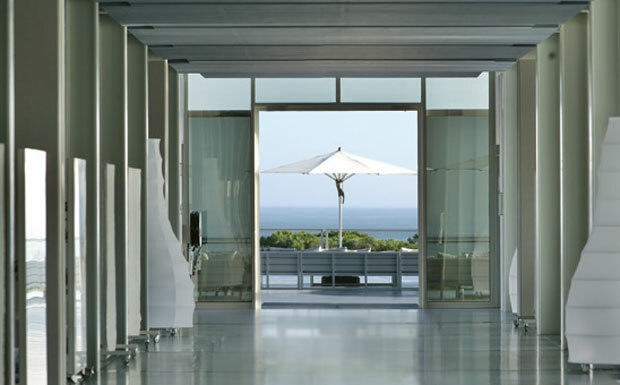 The starting rate for a superior room at the Oitavos is €155 (approx. £114) a night. Call +351 21 486 0020 or visit www.theoitavos.com for details. 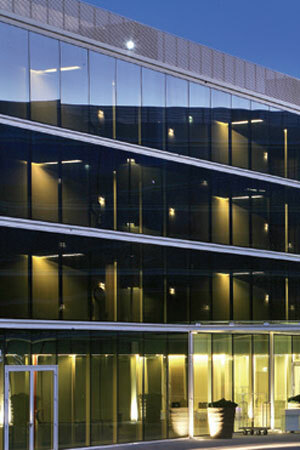 TAP Portugal operates daily flights to Lisbon from Manchester, London Heathrow and Gatwick. Prices start at £121 return including all taxes and surcharges. Hire a bike to explore the coastline, taking in the 9km-long cycle path from The Oitavos to Guincho beach, a hotspot for experienced surfers. Go horse riding. The nearby Quinta da Marinha Equestrian Centre is considered one of the largest and best equipped centres on the Iberian Peninsula and offers a wide range of activities. Visit Cabo da Roca – the most westerly point of mainland Europe. Be prepared for chills as this is raw nature at its best, complete with roaring seas and wind-blasted cliffs. Dine out at a local eatery and sample the traditional Portuguese fish soup. Stop off at one of the region's quaint tiled bakeries for an egg custard tart, a popular local treat. I love a rugged coastline and unspoilt beach, so Praia da Adraga ticked all my boxes. We visited on a windswept day, when only one other lone dog walker was braving the beach. The bracing sea air worked up an appetite so the solitary seaside restaurant was a welcome sight. An unpretentious, no-frills establishment, it served up a mean plate of seafood. We feasted on mussels, clams and other shellfish, including weird and wonderful gooseneck barnacles, a delicacy harvested from rocks deep in the sea. They look like dinosaur toes and were fiddly to eat. Not one of my all-time greats, but the sea bass was the best I’d ever had and the friendly service added to the authentic atmosphere.